The science of Follicular Unit Extraction (FUE) has advanced greatly in the last decade. New and more efficient methods of FUE hair transplantation have increased the amount of donor hair available to balding patients. One of the most cutting edge hair transplant methods being used to great success by Parsa Mohebi Hair Restoration is the technique of extracting hair from the beard to the scalp. Most beard to scalp transplants are performed to correct male pattern baldness. Beard hair has a life cycle, shaft thickness and length of growth more similar to the hair on the scalp when compared to hair from other parts of the body. 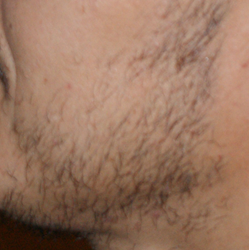 Trouble with your stubble? Fret not. 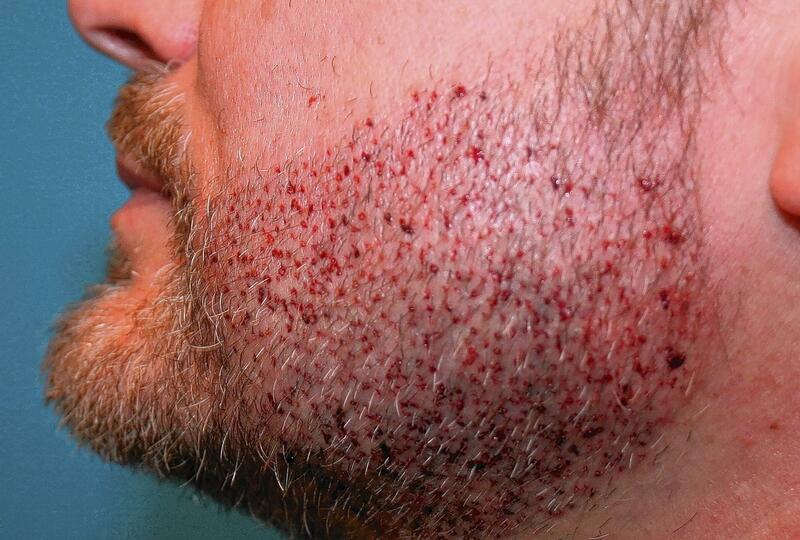 There’s a hair-raising solution growing in popularity: the facial hair transplant. Inspired by the hirsute hipster trend taking pop culture by storm, men are turning to this minimally invasive cosmetic procedure for bushier mustaches, sideburns, goatees and full beards, Palm Beach County doctors say. Hair restoration is not just for the scalp these days. 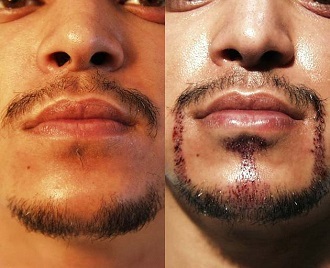 The growing popularity of beards and moustaches has made the facial hair transplant a more common procedure. Dr. Scott Boden, a hair transplant surgeon with the Hair Restoration and Aesthetic Medicine Center of Connecticut, has seen a very steady rise in facial hair transplantation and it has become a regular consultation request among his patients. Recent news of the increase in beard transplants has captivated the media, even catching the attention of Howard Stern’s popular radio show. Nationally prominent hair loss expert, Dr. Alan J. Bauman, was invited for a guest spot on the show on Tuesday, March 11, to discuss the phenomenon. The hipster trend is largely credited for the increase, though the growing number of Hollywood stars sporting perfectly manicured beards and scruff has also contributed to the increased demand of the procedure. Dr. Bauman discussed how the transplant works, and dished on which Hollywood stars have the most enviable facial hair. “Today’s stars’ facial hair may come and go… the most requested looks are still the iconic Tom Selleck ‘stache and Elvis’ sideburns,” Bauman revealed during the interview. South Florida Latinos are searching for the perfect machismo mustache or complete goatee.